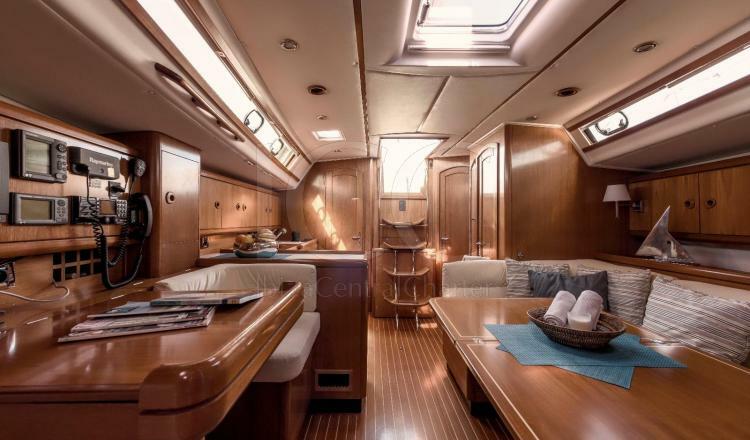 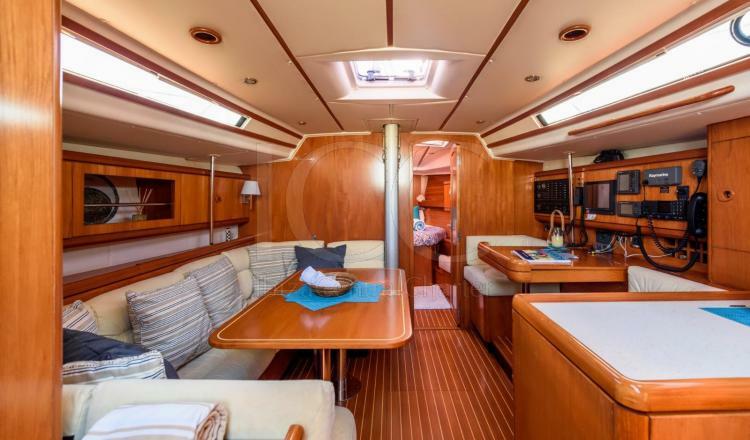 Rent this Wauquiez Centurion 45S and venture to enjoy an exciting vacation in the Mediterranean Sea. 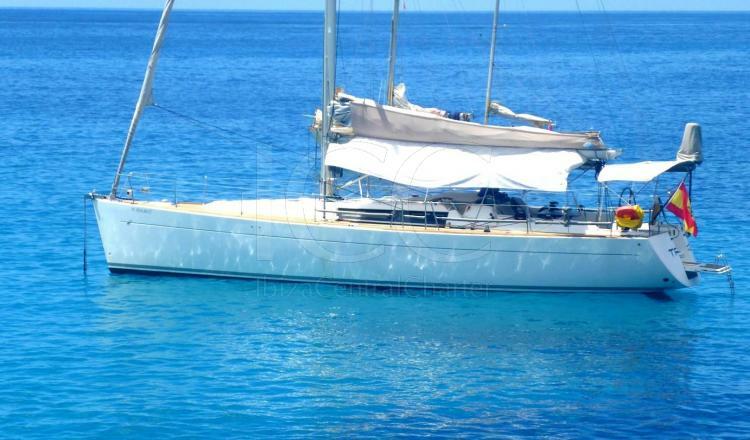 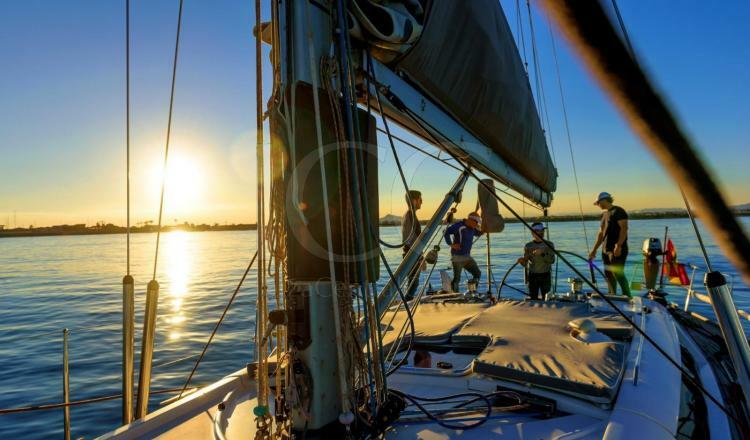 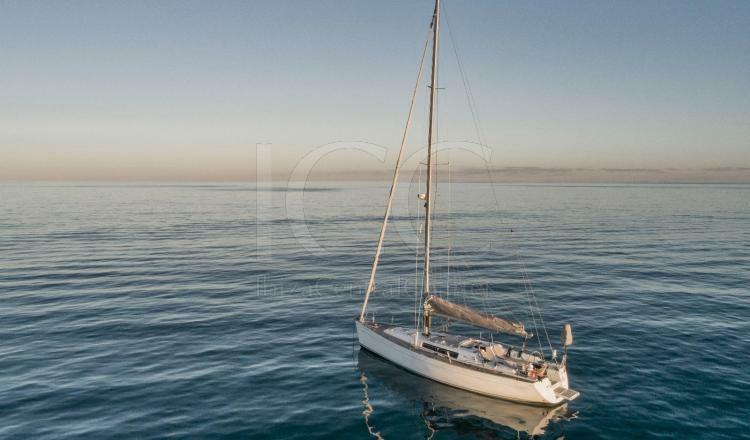 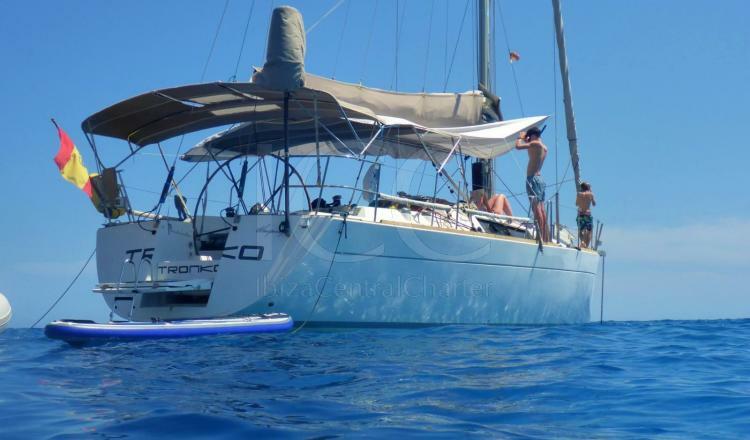 This sailboat guarantees that you and your friends enjoy a safe boat while relaxing. 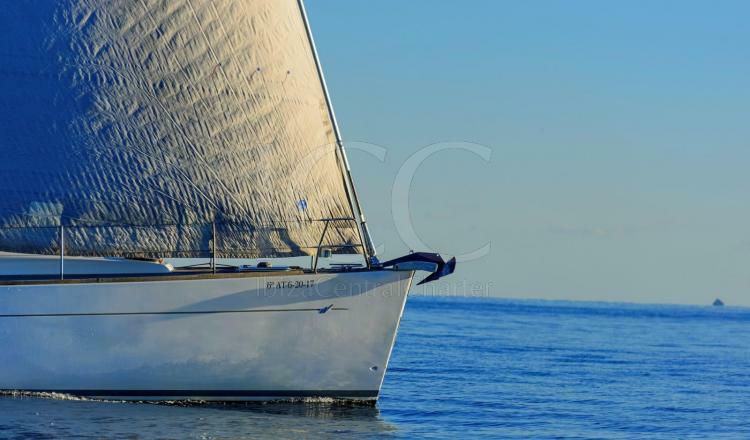 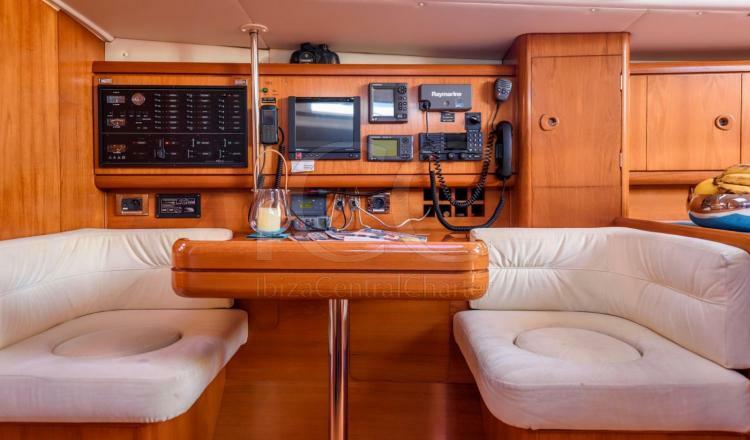 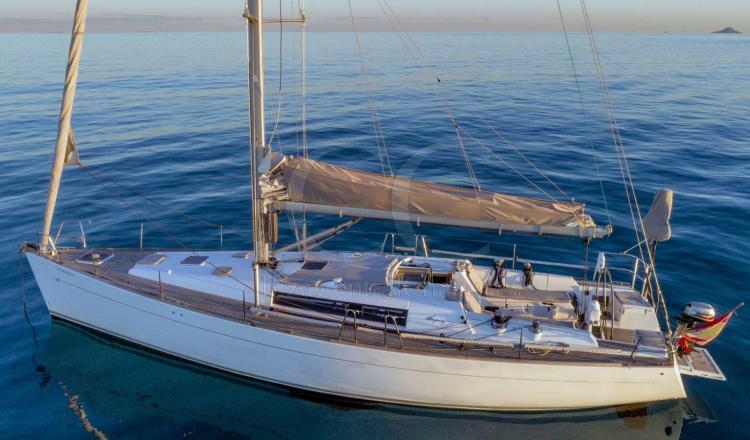 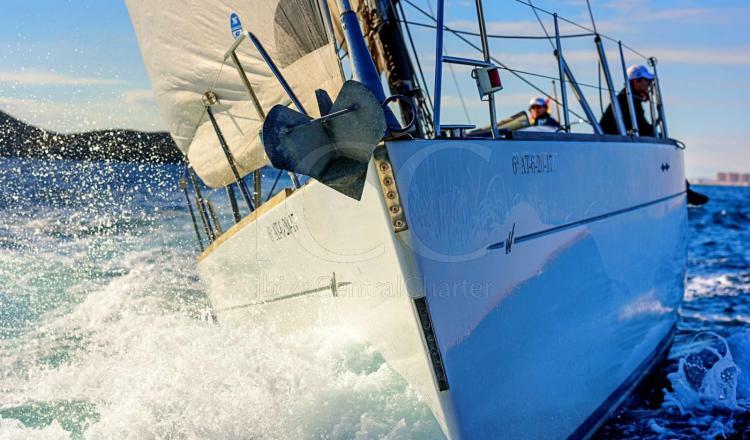 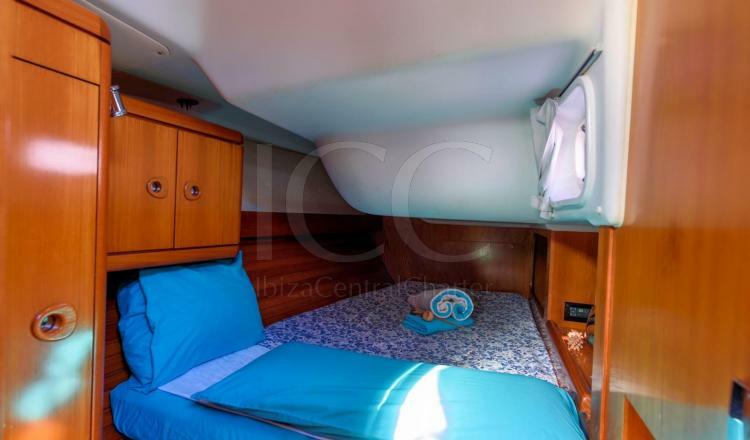 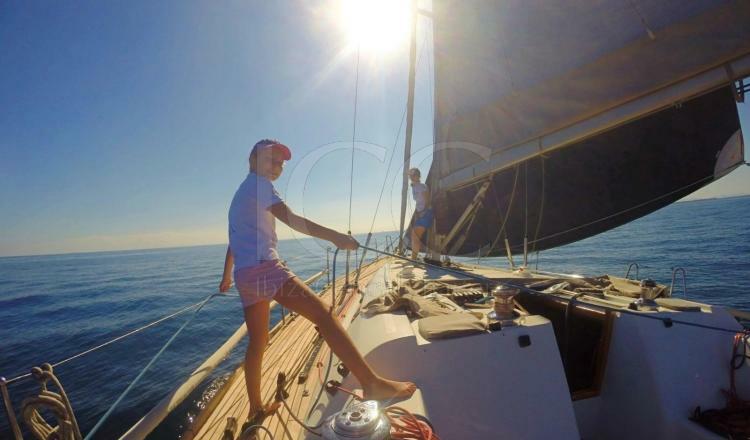 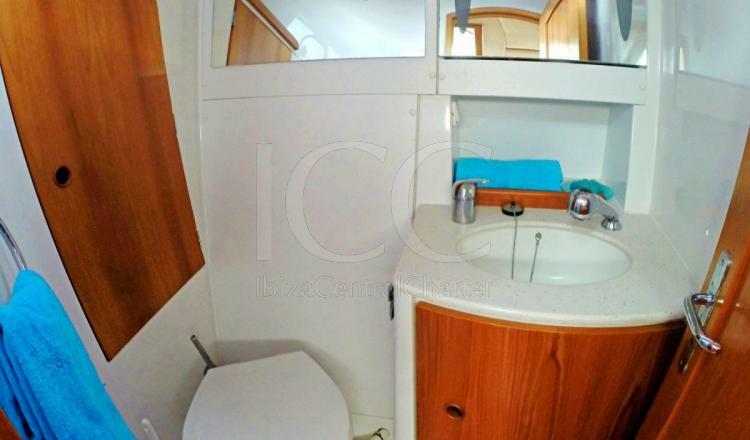 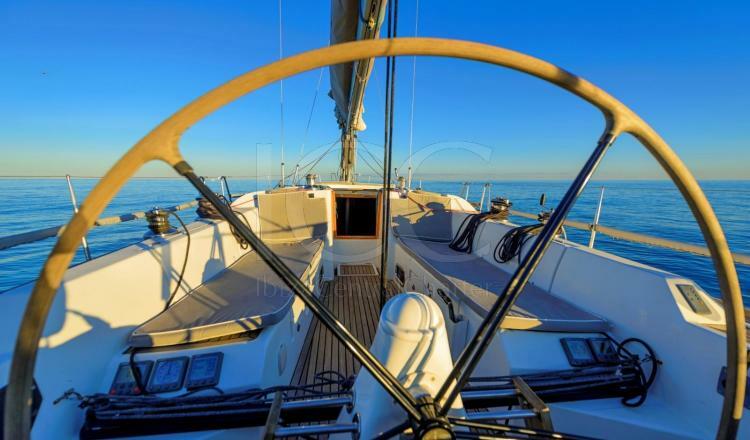 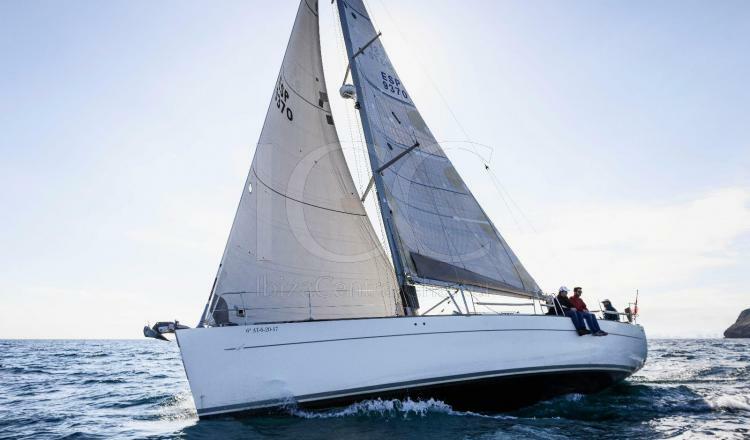 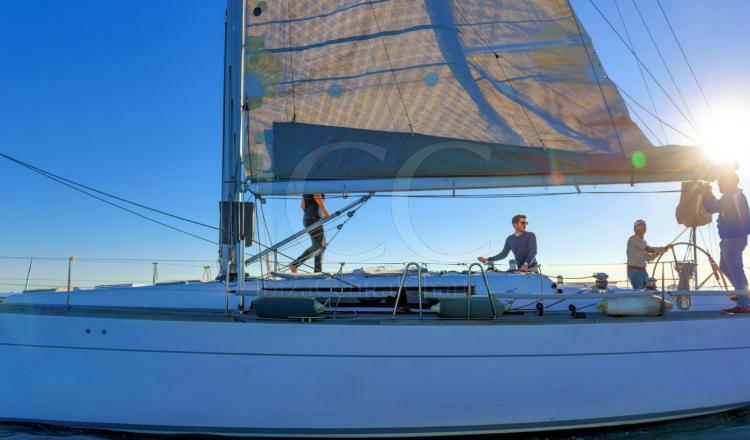 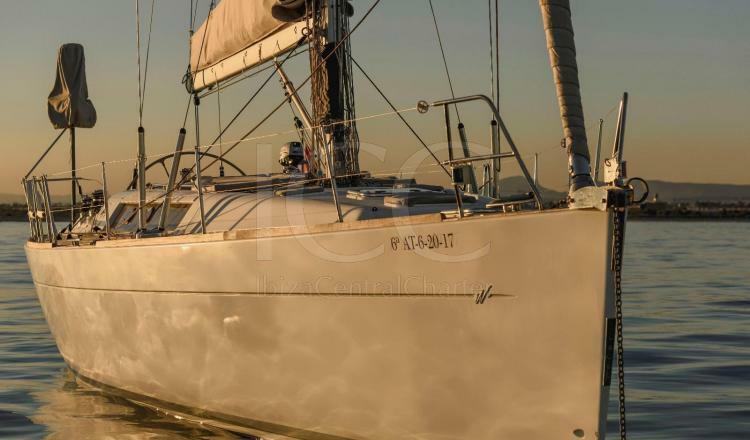 This sailboat Wauquiez Centurion 45S of 14 meters in length makes your navigation easy and safe. 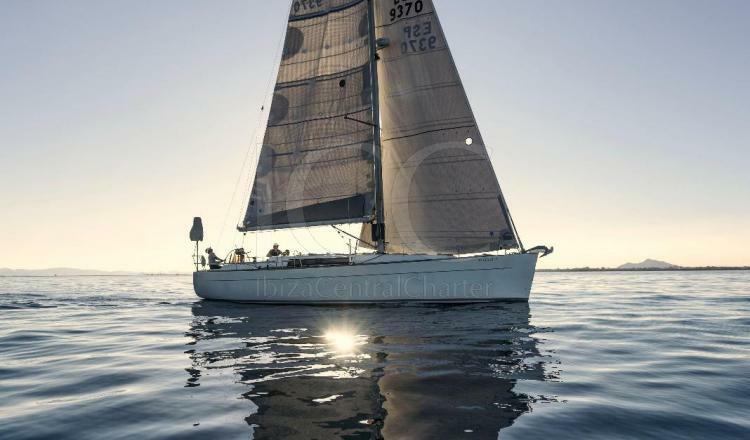 Its dimensions allow access to the best coves of Ibiza and Formentera. 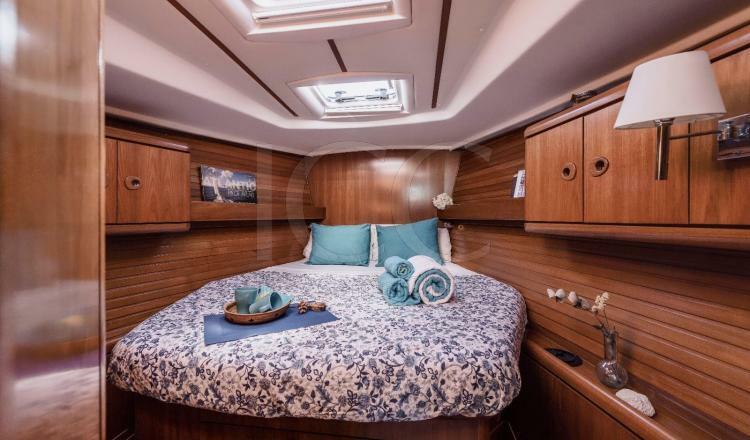 The beauty of this sailboat lies in its teak wood cladding both on the deck and inside the boat, which together with the cherry wood furniture, make the combination stand out for its elegance. 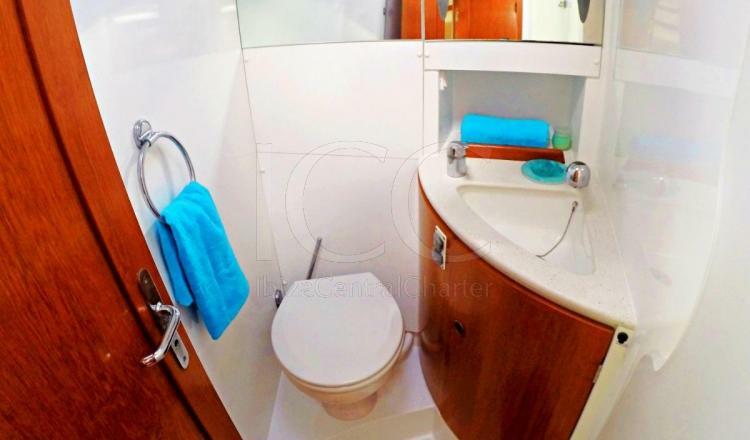 It has three double cabins and two full bathrooms in which a group of up to 12 people can comfortably enjoy a vacation on board. 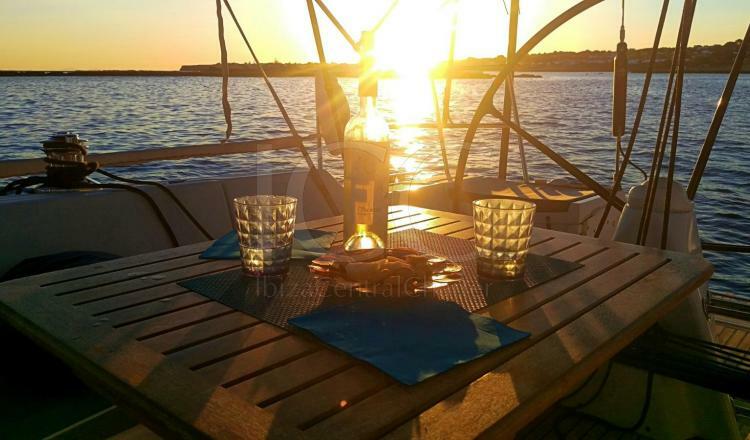 In its interior it offers the necessary equipment with the primary comforts so that you can enjoy an extraordinary experience in the beautiful islands of Ibiza and Formentera worth remembering. 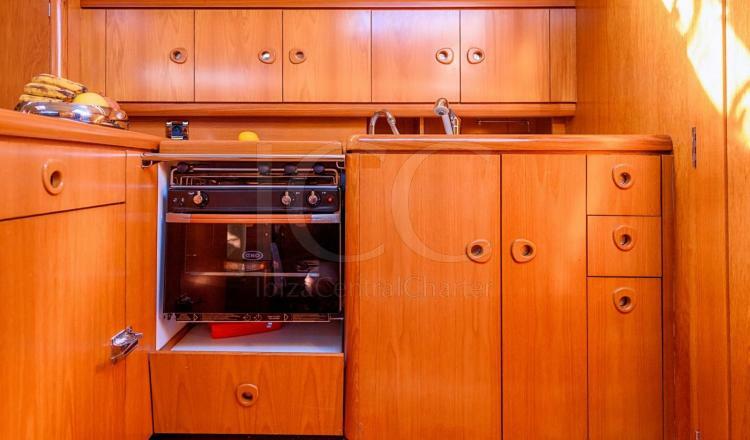 A complete kitchen (oven, sink, fridge, etc.) 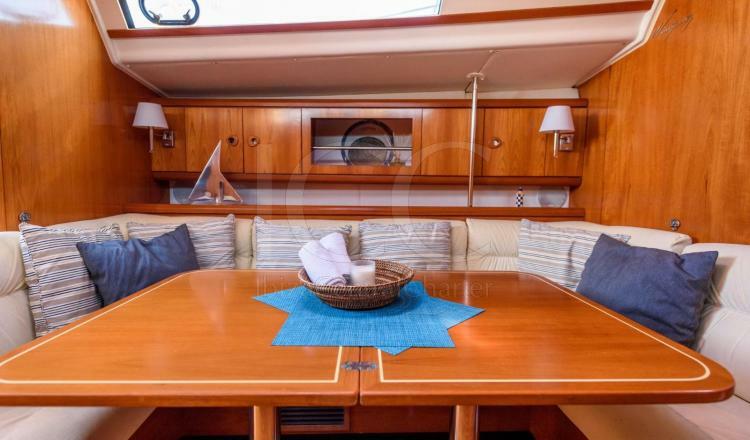 and a living room with a table with a capacity of 12 people will make you enjoy meals or dinners in the best company. 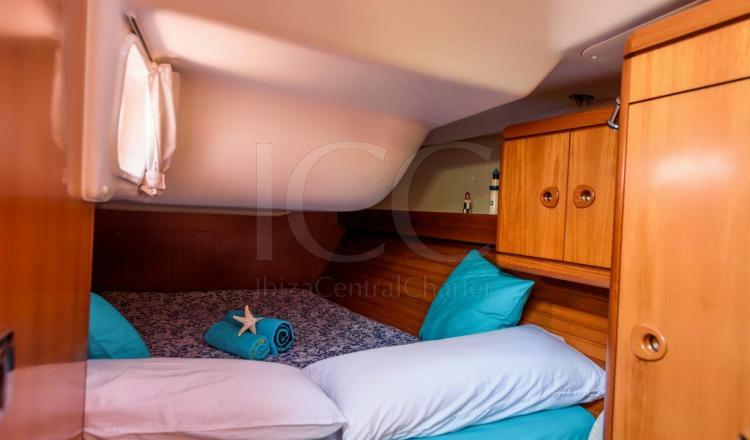 In the bathtub we find several areas to enjoy the sun and relax: in the bow area there is a large sundeck with mats and aft two more cushions with backrest. 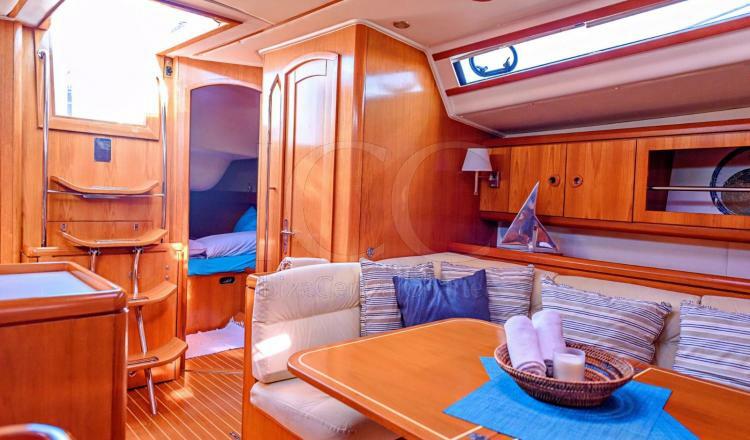 The latter, become an outdoor lounge in which to enjoy a snack with the sea breeze while sailing. 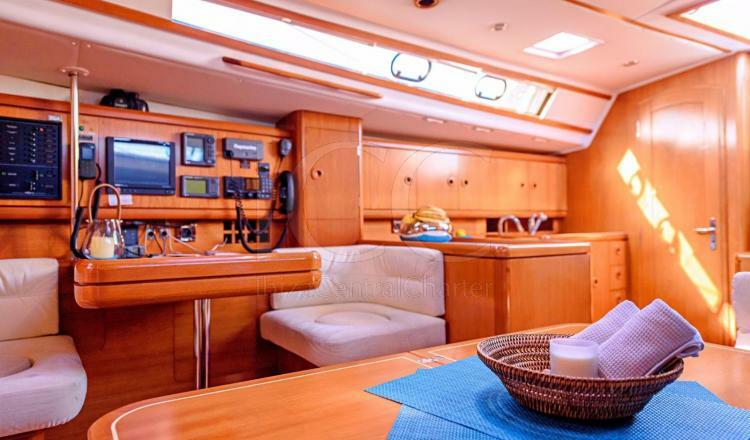 For the time to cool off in the beautiful turquoise waters, its hydraulic platform facilitates the access that together with its swim ladder will make the entrance to the boat more comfortable. 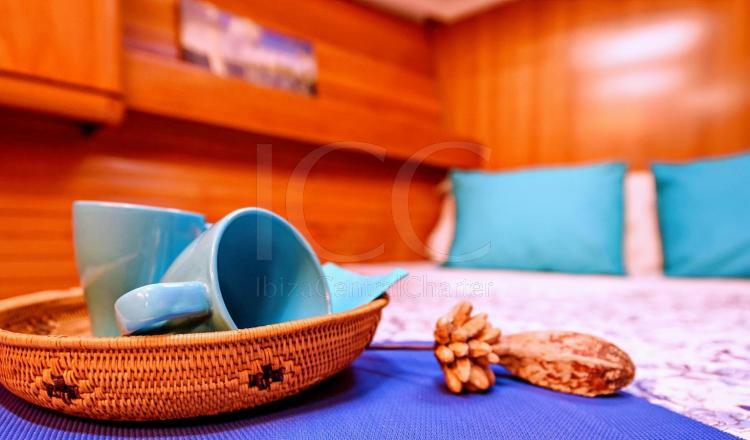 Do not miss an unforgettable vacation with your friends and / or family on this beautiful sailing ship!